SAINT-QUENTIN-EN-YVELINES, France – Remember when Tiger Woods was back atop the golf world after winning the Tour Championship last Sunday? That seems like ages ago after Woods posted a brutal 0-4 record at the Ryder Cup here at Le Golf National, including a crucial loss to Jon Rahm during Sunday’s singles matches. The first win of his #RyderCup career. “It’s frustrating because we came here, I thought we were all playing pretty well, and I just didn’t perform at the level that I had been playing, and just got behind early in the matches and never got back,” Woods said. Woods never led against Rahm after losing the first hole. The match was all square briefly after a Woods birdie on the 12th, but Rahm won the next two holes and eventually closed out the 14-time major champion 2 and 1, paving the way for a European team win. “To beat Tiger, one of the greatest, if not the greatest, on the Sunday, with a pivotal point, I was so aware of it, it’s the best feeling of my life,” Rahm, still only 23 years old, said. 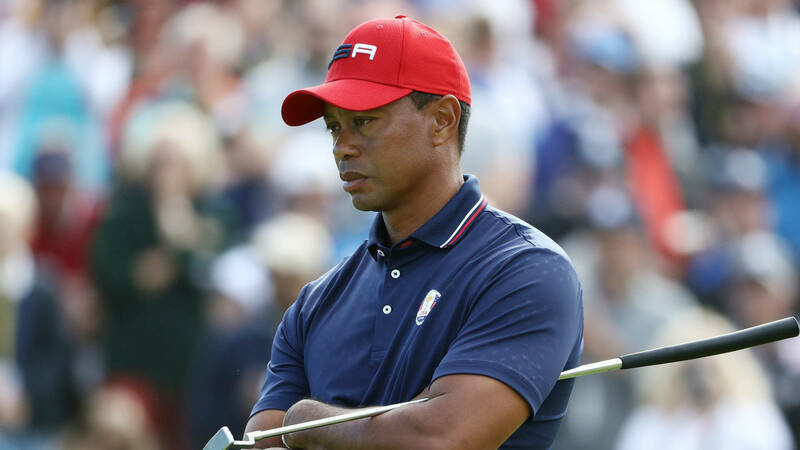 Woods struggled in four ball play alongside Patrick Reed against Tommy Fleetwood and Francesco Molinari, before losing to the same European duo in Saturday foursomes with Bryson DeChambeau. Woods now has an oddly embarrassing Ryder Cup record of 13-21-3 in nine appearances.